If you are interested in becoming a nurse, the very first step in the process is selecting a Baccalaureate nursing degree program to attend. There are hundreds of different traditional and distance education nursing programs that you can apply for, but not all programs and not all post secondary institutions are created equal. As a prospective student, it is your duty as a paying consumer to find a quality program that meets the standards of approval by boards and agencies within the field. If you do not take the time to verify that a program has received approval or accreditation, you could be spending years of your time earning a degree that will not be recognized by employers or licensure departments. If you are wondering why these honors are so important and how to locate schools that have earned these honors, read on for your guide to selecting the right nursing program. Why is Board Approval and Accreditation So Important? The NCSBN is the board responsible for regulating the field and what is expected of educators in the field of nursing. Studies conducted by this body show that nursing professionals who attend approved and accredited programs have better patient outcomes than those without, and because of this the NCLEX testing agency that oversees the RB exam will require that the program is approved by the board. Not only does a program need to be approved by the board, it also should be accredited by a reputable accreditation agency so that students can advance their education in the future. About 96 percent of BSN programs are accredited, and 80 percent of all degree programs have some type of federally acknowledged accreditation. It is possible for a program to meet the standards of the board for the sake of public safety and still not possess an active accreditation. Because of this, you need to take the time to find programs that both the boards of nursing and the nursing accreditors acknowledge. 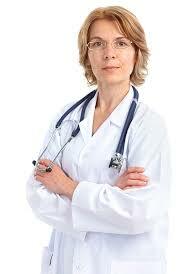 There are several different accreditors that set standards in the field of nursing. Just because a program is not accredited by one of these agencies does not mean it is not accredited by another. The NLNAC, ANCC, ACEN, and the CCNE are recognized bodies, and each of these bodies have a locator tool where you can search for active accredited programs from an internal search engine online. If you are thinking about a specific program and you want to know whether or not the program is approved, you can check the school’s website directly to find this information. Schools are required to display their accreditation and approval status, and all schools must be honest about this status. If you want a long list of programs within your state, you can also visit your state’s board of registered nursing website so that you can see which programs are recognized. By using the Internet, you can easily cross schools off of your list and highlight programs that meet all of the high standards. When you select an approved and accredited program, you can safely practice nursing and later advance in the field with an advanced degree or a specialization. Pursue a degree that is rewarding and in demand, and you will never feel like you have worked a day in your life.